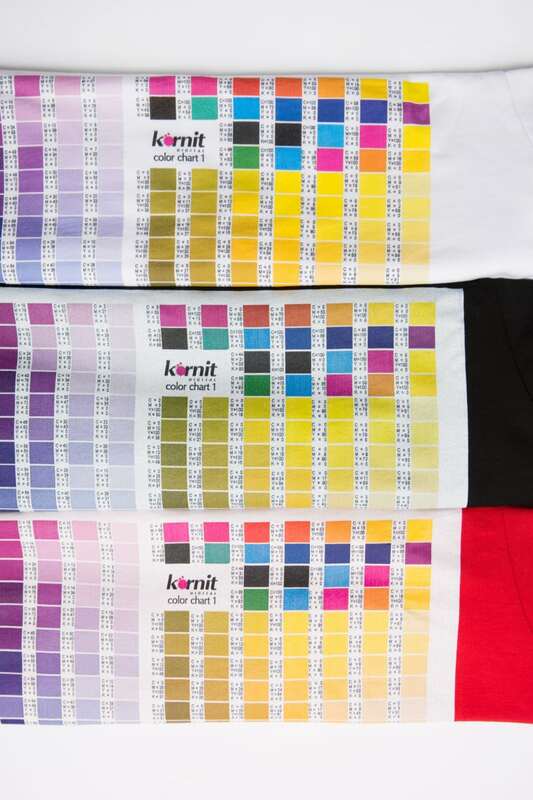 To print pixel designs, we need to render the colour scheme from RGB to CMYK and make colour corrections if necessary. 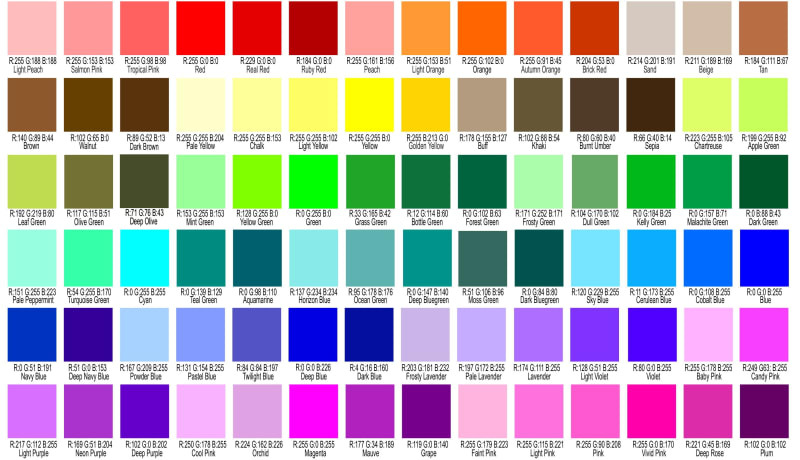 This may lead to slight colour variations. Every screen displays colours differently. A combination of brightness, contrast and saturation can change colour effects significantly. The colour of the fabrics has an effect on the print result. 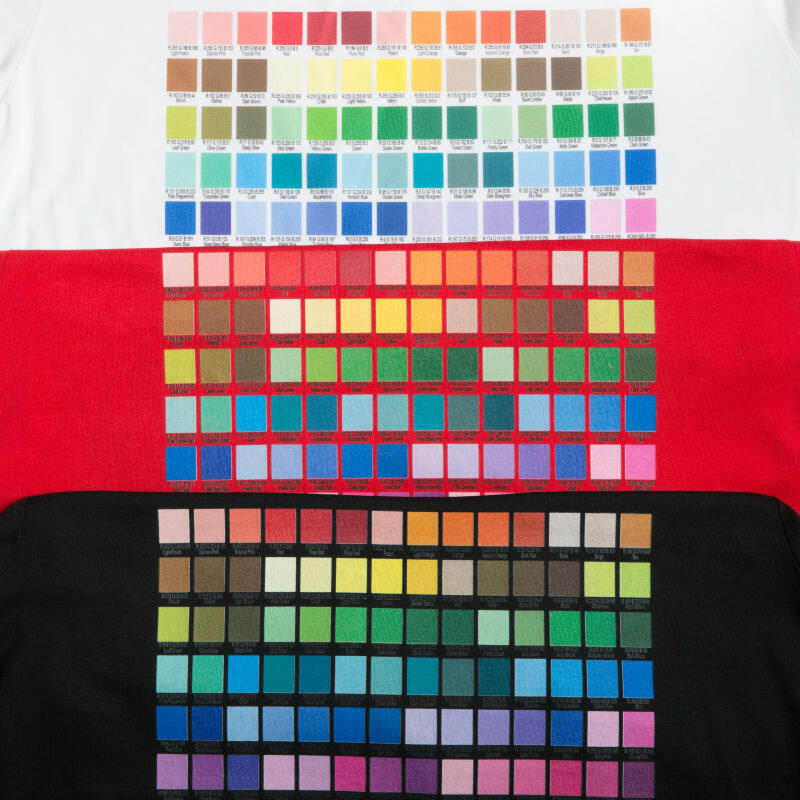 The example below illustrates how different colours come out on white, black and different-coloured fabrics.